Carrying the RCTS headboard and Reporting No. 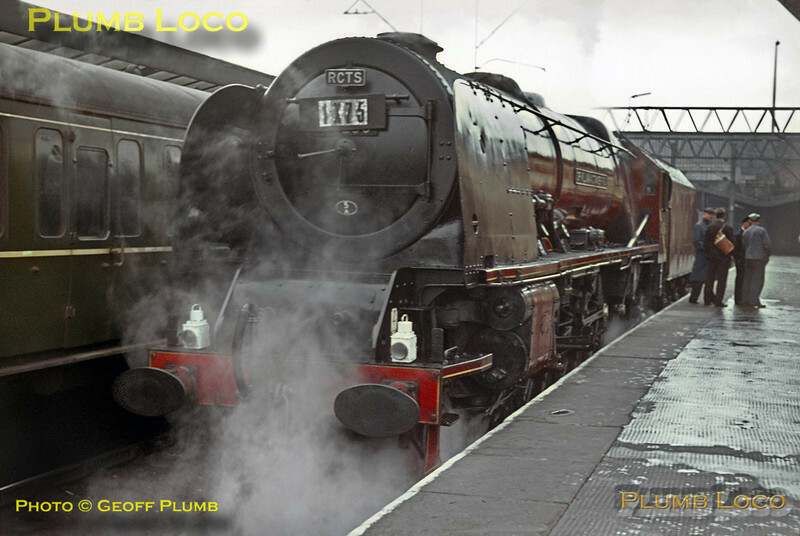 1X75, Stanier "Princess Coronation" Class 4-6-2 No. 46256 "Sir William A. Stanier, F.R.S." stands in the north bay at Crewe station prior to moving off to couple to its coaching stock for the "Scottish Lowlander" railtour which it hauled as far as Carlisle, on its last day in service and the last of its class. Saturday 26th September 1964. Slide No. 1054.